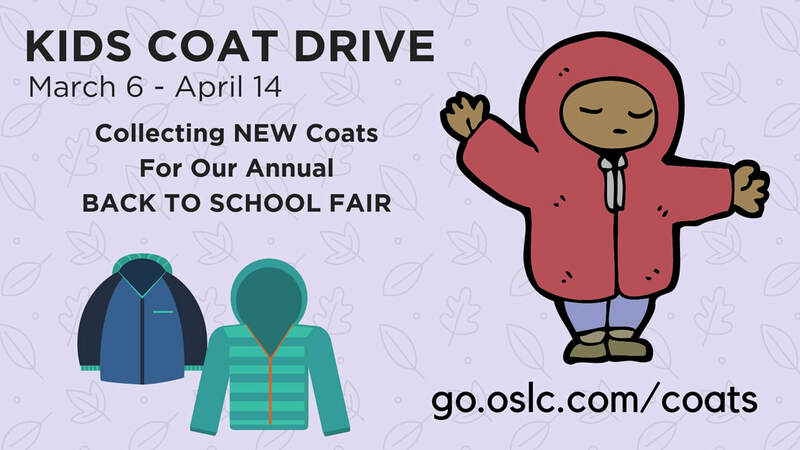 We will be collecting new coats from March 6 through April 14 for our annual Back to School Fair. Take advantage of late winter coat sales and help us spread the warmth to the children in our community. 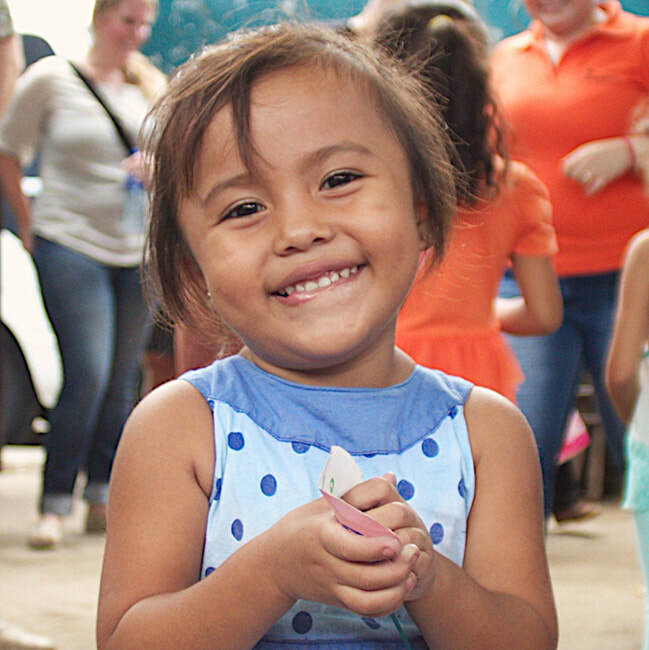 Our Savior Lutheran’s relationship with Compassion International in Nicaragua is growing. In 2017, we built a Child Development Center (CDC) in Ometepe, and we found sponsors for all 164 children. Children at our CDC are supported by individual sponsors. Last October, we sold pies to launch a Child Survival Program in Managua (CSP). The CSP focuses on infants and does not involve sponsorship. 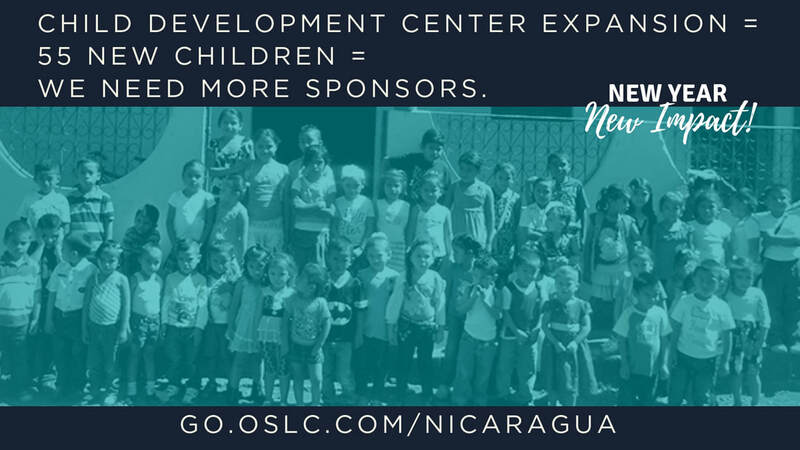 Now, our first project, the Child Development Center in Ometepe, has expanded, and there are 55 new children available for sponsorship. If you missed out on the sponsorship drive in 2017, this might be your last chance to sponsor a child from our sister congregation in Ometepe. The new sponsorship packets are available in the church lobby until January 27. If you have questions or need more information, contact Tracy. 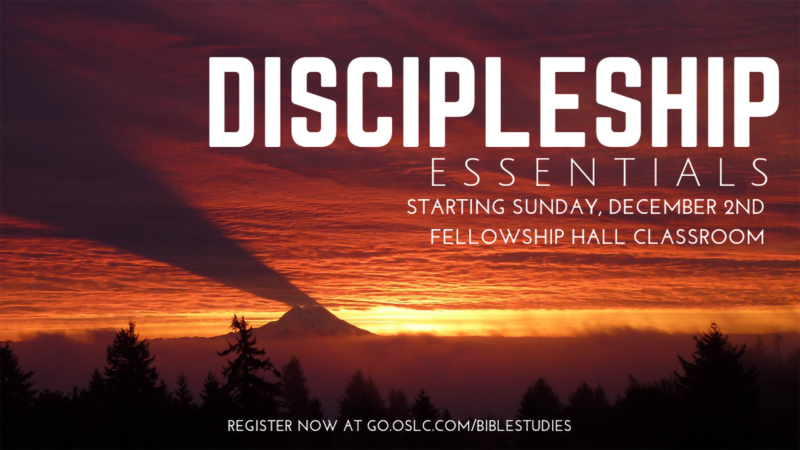 It's not too late to register for our newest Sunday morning Bible Study. This course runs December 2 & 9; resumes January 6 through June 16. It will cover essential topics for Christians to help them grow in Christ, understand the message of Christ, become like Christ, and serve Christ. November 21 - There is no Youth on Wednesday, November 21. We encourage youth and families to attend our Thanksgiving Eve worship service at 7:00pm. November 25 - There is no Sunday School for Kids, Youth and Adults on Sunday, November 25 during Thanksgiving Break. December 16 - There is no Adult Education on Sunday, December 16 due to "Neighboring Sunday" activities. December 23 & 30 - There is no Sunday School for Kids, Youth and Adults during Christmas Break. December 26 & January 2 - There are no Youth or Adult classes on Wednesday during Christmas Break. November 10-12 is our High School Fall Retreat "The Pause, Learning to Seek God" at Soundview Camp. Don't miss out! Registration deadline is Wednesday, October 31. More Info. This year, our Thanksgiving Food Drive for Backpacks 4 Kids (B4K) reflects a change in the menu. 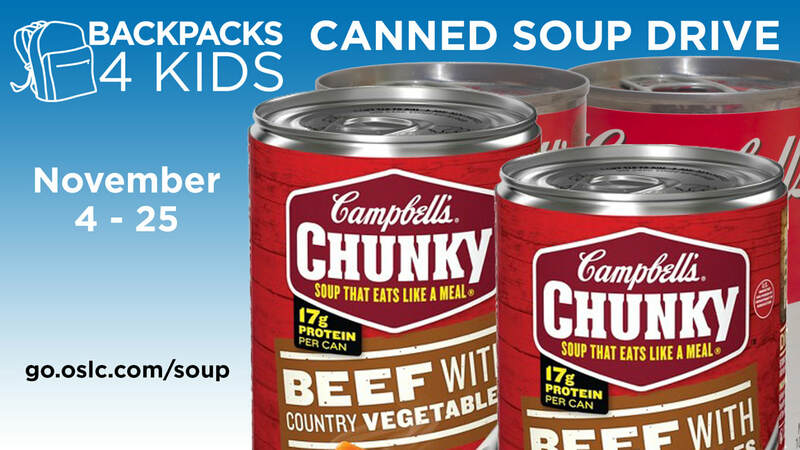 Instead of a wide variety of items, we are collecting pull-top CANNED SOUP for the food bags. B4K feeds over 300 children each week, and it is fully dependent upon volunteers, gifts, and donations. You can help! The Thanksgiving Food Drive runs November 4-25. Donations can be brought to the altar during the Thanksgiving Eve Service or dropped off in the church lobby. Thanks for your support. .
We will be hosting two "listening sessions", giving the congregation an opportunity to provide input to the Committee. The sessions are October 28 and November 4 at 10:45am in the Chapel. Senior Pastor Nomination Forms are available at the Connection Counter. You can nominate an ordained LCMS Pastor you would like the Committee to consider. Deadline for nominations is November 11. The B4K program delivers 230 bags of food to Franklin Pierce Schools every week and sustains 75 more kids through campus food pantries. We need more delivery drivers to join the team. Deliveries are on Friday mornings, and this team must have a strong back and be able to lift up to 20Ibs. Please contact Tracy if you would like more information. Immediate opening for a Custodian 16-20 hours per week. Bookkeeper for 20-30 hours per week starting November 15. Applications and job descriptions are available here. Completed application and resume may be mailed or emailed, Attention: Sue Bratz or dropped off at the Front Office. 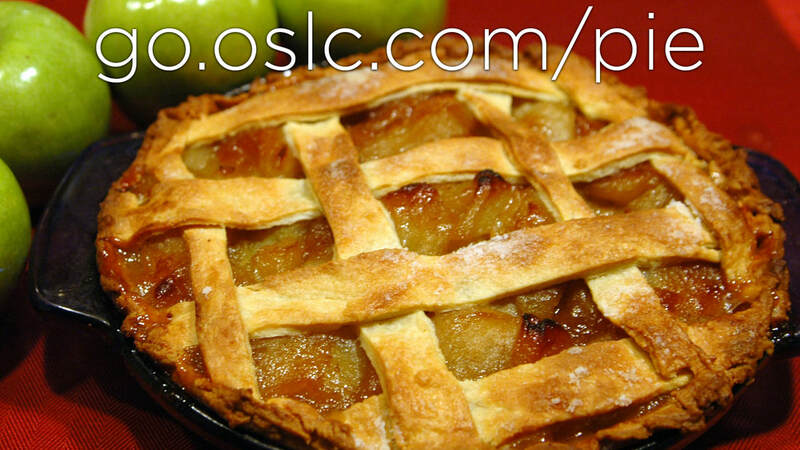 OSLC Sunday Nursery We have immediate openings for volunteer Nursery Attendants at 9:30am.